There are currently 28,403 users on this website. 1911 Large Cent Rim Lines? Vickies cents and GB Farthings nut. Wood grain copper cents are typically caused by improper alloy mixtures of the planchets. Just like wood, there is a "grain" to it, mostly parallel but not necessarily linear. It's not just the rim, it's the entire coin. Proud member of the Black Sheep Squadron! Wood grain copper cents are typically caused by improper alloy mixtures of the planchets. Just like wood, there is a "grain" to it, mostly parallel but not necessarily linear. You lost me. Oh, you mean these little tiny lines? No idea, maybe die deterioration. fourmack ... the design detail element that you called rim decals are called "denticles" and they are on every large cent going back to Vicky. I don't know what the "lines" are, but they would have been incuse in the field area between the denticles.... maybe they didn't repolish the working die. Unfortunately, out of all my 1911's that are somewhat handy, nearly all have crud between the denticles. However 2 of them in AU show off the concentric lines just like yours, so yours is not a one-of. 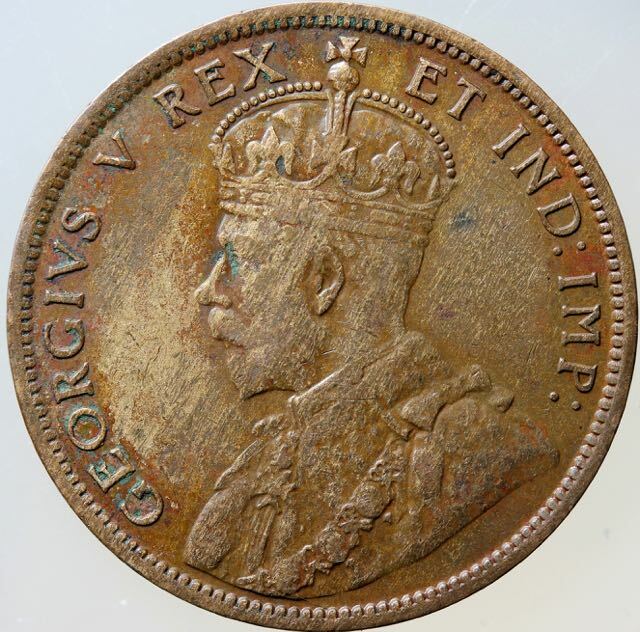 To even see the lines, the coin has to be at least XF and have no crud between the denticles. Thank you for correcting me on (rim decals) denticles as my memory re named terms is not good. Maybe they didn't repolish the working dies. I've wondered about these marks also Don. I've seen them referred to as tool marks or file marks, but not really sure what caused them. On the ones I've seen on the Victoria cents, they appear to have been made in the working dies, which would be helpful for die tracking as they would be a little different for each die. 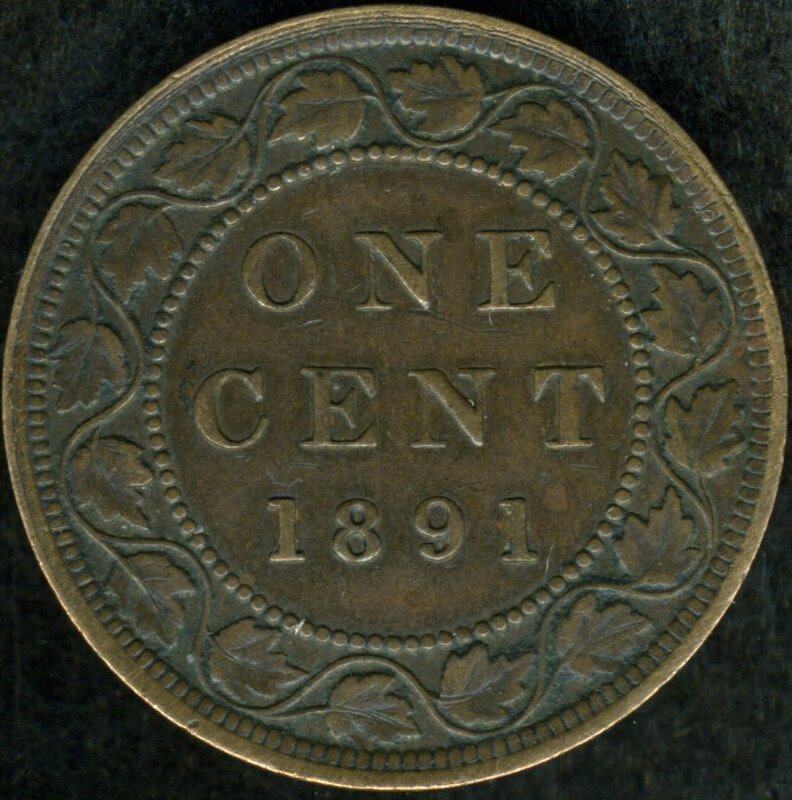 Here is a photo of similar marks on an 1882H Victoria cent. 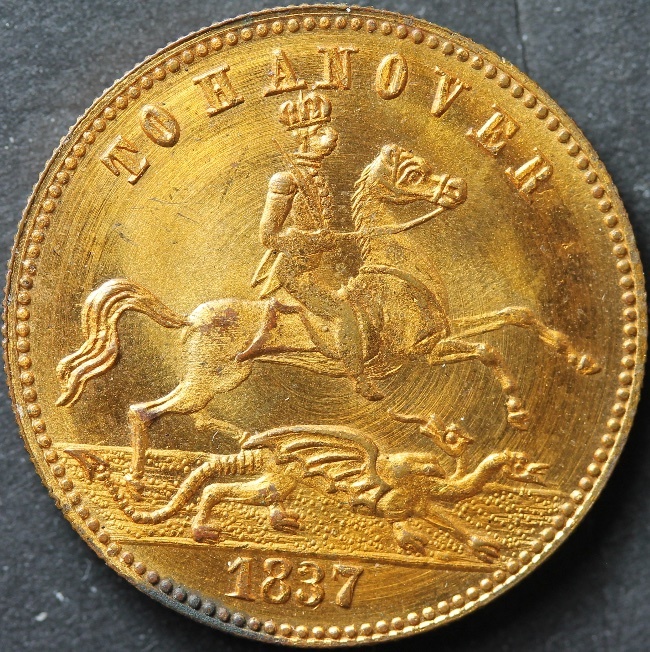 On this coin the marks extended down to the vine loops. BTW, I found another 1911 in AU and it doesn't have any of the concentric tool marks between the denticles. Maybe they polished the dies after some amount of use, although the others I found earlier looked like they had them (under the crud). By 1911, I would think that they were probably getting close to half a million strikes out of each Obverse working die. 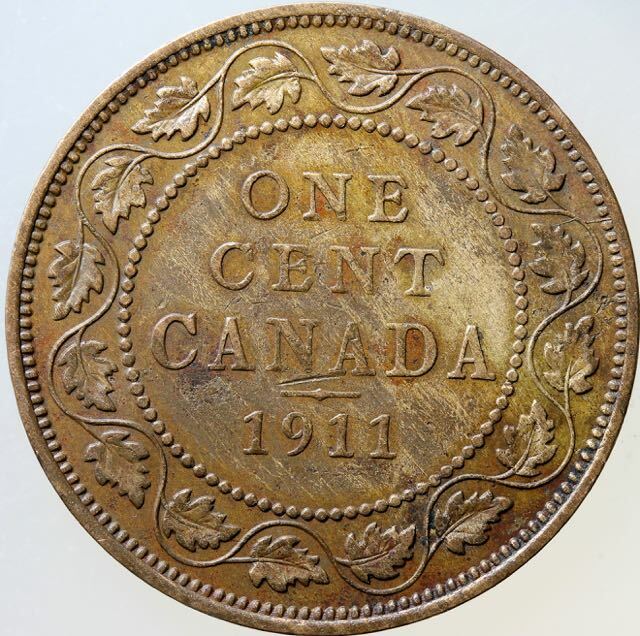 There's no way that one die could have ever struck the 4.5 million mintage .. they may have tried to clean up the dies after striking a number without polishing around the edges. I have a theory about what could have caused those marks. I may be totally wrong, but something caused them, so here's my theory. I understand the soft blank dies that are impressed with the punch have a slightly conical shape so the design is impressed in the center of the die first and then later pressings deepen the design until it is complete. The outer perimeter of the die would be the last place where the design of the punch was transferred fully. 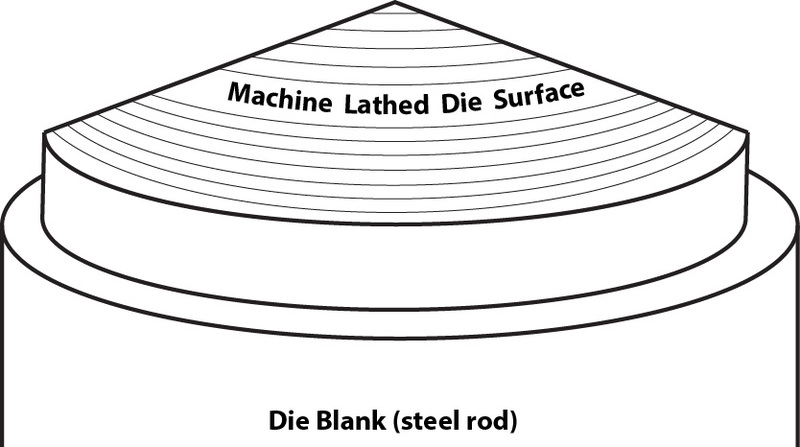 To get the conical shape on the blank die, it would have to have been turned on a lathe which would leave light tool marks like the grooves on a phonograph record. In 1911 the lathes were slow turning and the tool bit was probably carbon steel, so it is very likely these tiny grooves would have been left on the blank die. 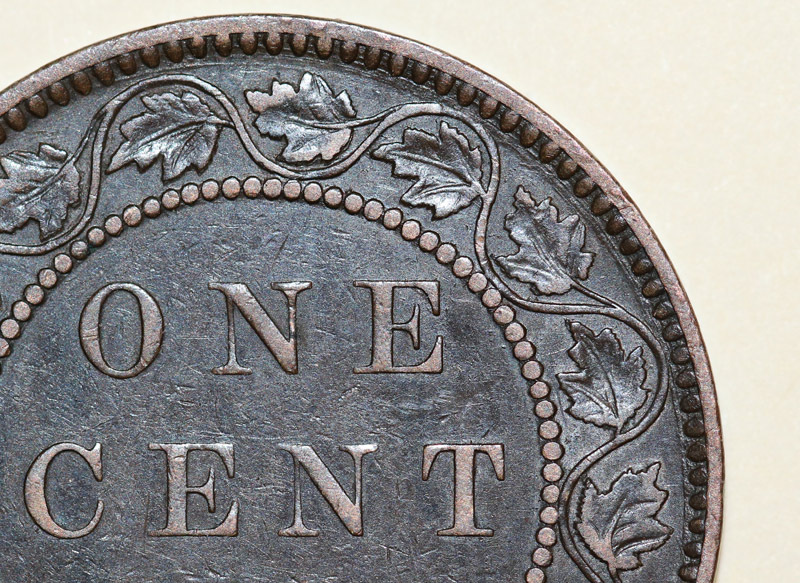 If the final pressing with the punch did not eliminate all evidence of the lathe tool marks on the outer perimeter of the finished die, it would show up like the marks on Don's coin between the denticles. That's the only thing I can think of that would explain it. The marks on the 1882H that I posted are not the same and couldn't be lathe tool marks. I would think they were caused by a file cleaning up a burr on the edge of the die after it was finished. They extend too far down into the field. Those are what error collectors call "lathe lines" or "lathe rings"
These concentric rings are produced by a lathe which shapes the cone-shaped face of the unfinished working die. The cone is supposed to be subsequently polished smooth before punching (or hubbing in US terminology). If polishing is omitted or inadequate, the surface will remain covered by concentric lathe marks which will not be erased by subsequent hubbing. 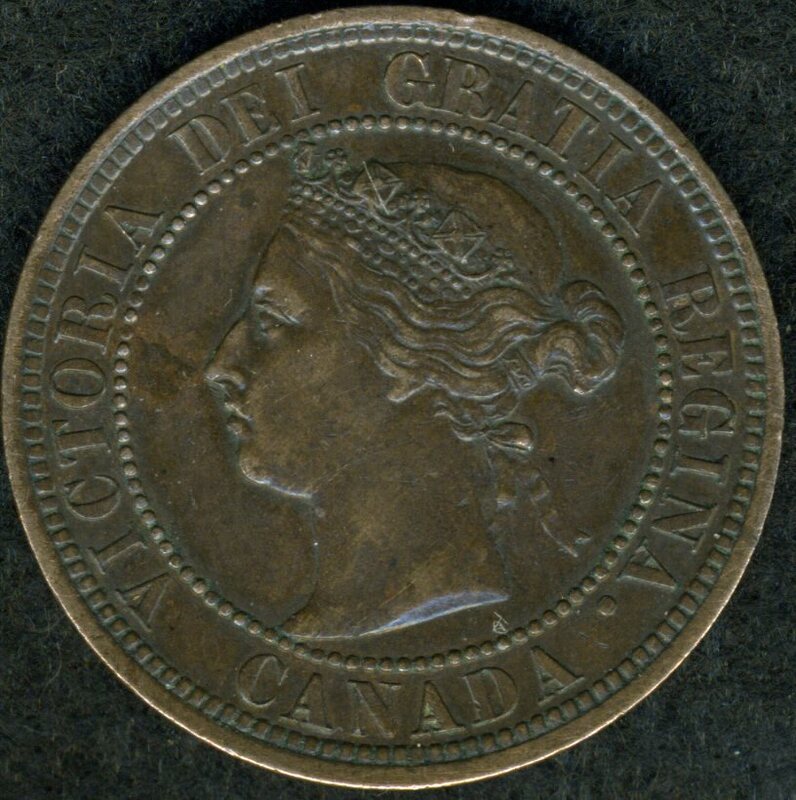 I wrote about this phenomena occurring in Canadian Edward VII large cents in the CN Journal some time ago. If you are a RNCA member, you can go online and read it. Look for the December 2013 issue. I wish I had joined RCNA earlier Roger and I would have seen your article and saved myself a lot of head scratching on this. I'll go look up your article online. Can't wait to read it! So you would say that this is the same? It looks like lathe lines to me Don. They are so strong throughout the token that I doubt the blank die had any cone shape on the end, but was flat. The impression is low relief and it probably was made with one impression of the punch which never touched the fields of the die blank leaving the strong lathe lines in all of the fields. Papeldog, I think the lines along the rim on your coin are something different, but I don't know what caused them. I read and enjoyed your article Roger. 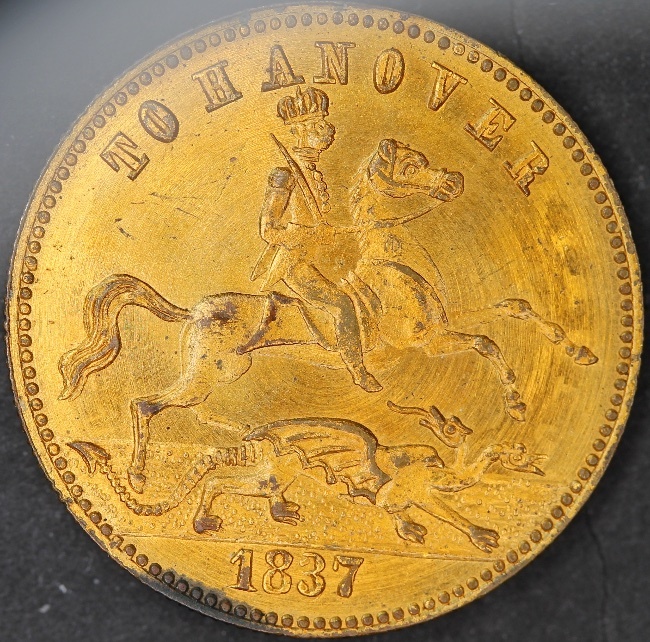 The lines on the coins you pictured had been flattened on the die by the punch during impression, but not completely eliminated. On Don's original coin, it looks like the punch never got impressed quite enough to flatten the lines between the denticles. If the punch had impressed the blank die .001"-.002" deeper, they might not be there. All of these are guesses on my part, but it's fun to try and figure out. I'm sure error collectors do this all of the time and have a much better understanding of everything that could go wrong in coin production. I'm sure error collectors do this all of the time and have a much better understanding of everything that could go wrong in coin production. We do... it is not easy trying to reverse engineer what we think might have happened, and sometimes we still can't figure stuff out or get it right... but that is the fun part of the hobby for some of us. It took 2.06 seconds to rattle this change.